Most content marketers only think of email in terms of marketing and communication. But email is the number-one pathway cyber thugs use to unleash malware, commit fraud and otherwise screw up our business and personal lives. These are the scary facts my team learns as brand journalists for Mimecast! Serious defenses are best left to the smarty-pantses over in IT. But the rest of us can do our part to keep the baddies at bay. That's what I learned penning this post. 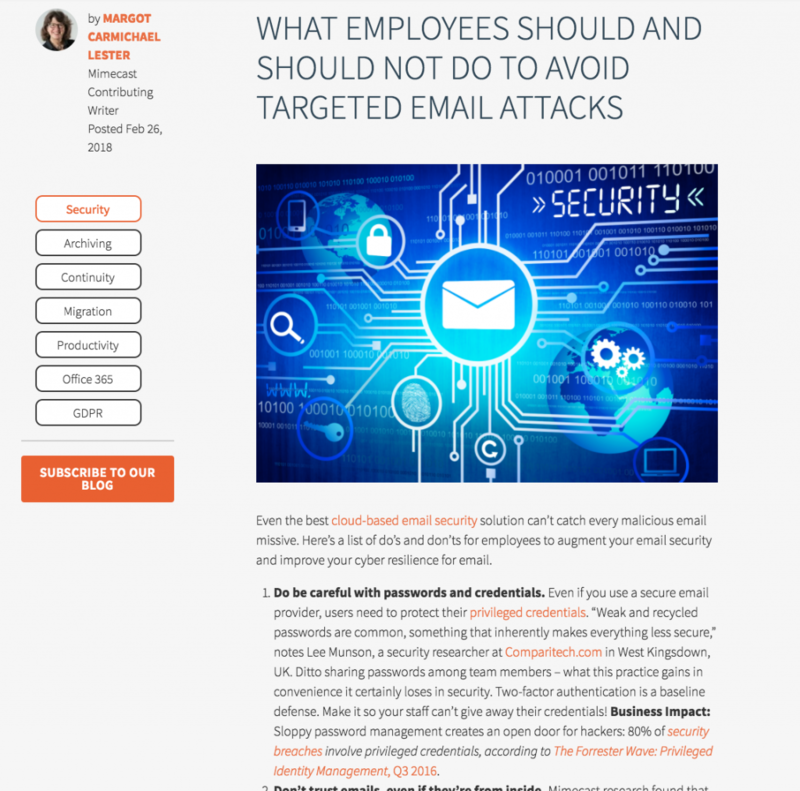 It's a quick read that will open your eyes to all the little things you do every time you open an email that could be putting your business at risk. Previous post: Remember the PSA? You should.